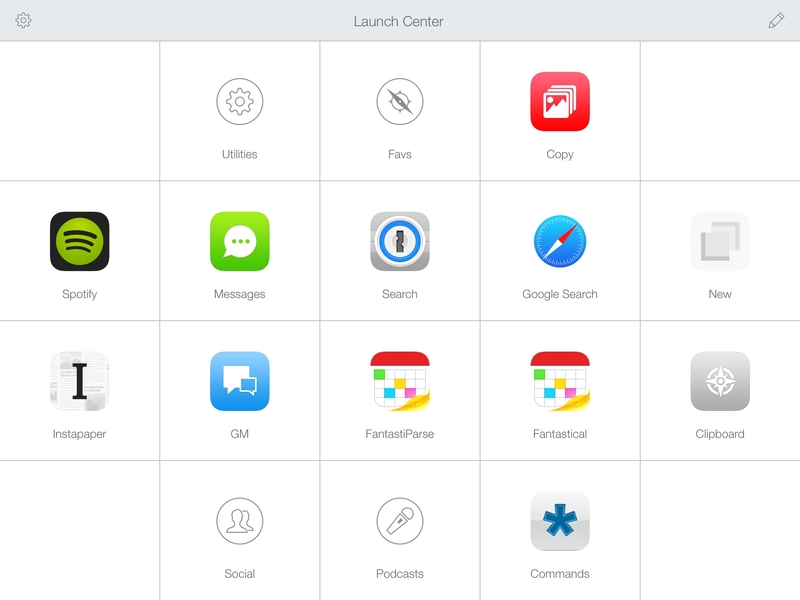 Search results for "launch center pro"
Launch Center Pro, Contrast's popular launcher for iPhone and iPad, has been updated to version 3.0. It may be hard to believe, but Launch Center Pro 2.0 came out five years ago (in 2013), before Workflow, when Pythonista, Editorial, and Drafts were the only other apps pushing forward the idea of iOS automation thanks to URL schemes and x-callback-url. The iOS automation landscape is vastly different five years later. While Apple still hasn't shipped a native automation framework for inter-app communication and URL schemes are still the only way to let apps exchange data with one another in an automated fashion, the evolution of Workflow into the Shortcuts app now provides users with an easier, more integrated solution to craft complex workflows. Not to mention how, thanks to its widget, 'Open URL' action, and ability to add custom launchers to the home screen, Shortcuts alone can supplant much of the functionality the likes of Launch Center Pro and Launcher have become well known for. Apple may not necessarily think about the Shortcuts app as "iOS automation" (they never used this expression in public), but it's undeniable that Workflow (then) and Shortcuts (now) are a superior, more powerful alternative to perform actions that were previously exclusive to Launch Center Pro. For this reason, I believe it's best to think of Launch Center Pro in 2018 as a companion to Shortcuts – a more intuitive, perhaps simplified, versatile front-end to launch actions and apps in different ways, using triggers that aren't supported by Apple and which can complement Shortcuts rather than replace it. And with version 3.0 released today, Contrast is embracing this new role of Launch Center Pro as well, doubling down on what makes it unique compared to Shortcuts, and expanding the app's launcher capabilities in a handful of interesting ways. Launch Center Pro, my favorite utility to launch actions and apps on iOS, is coming to Apple Watch. As shown by Contrast's David Barnard, Launch Center Pro for the Watch will feature a list of actions with a simplified interface in line with Apple's guidelines for the new device. I'm excited about the potential of bringing discrete automation to the wrist. And I'm curious to see how Contrast will slim down the experience to make sense on the Watch. The actions in the screenshot seem to be primarily web-based (likely powered by IFTTT) and they can work well with one-tap interactions and dictation, but I'm wondering if the more complex workflows of Launch Center Pro for iOS could have Watch counterparts as well. Contact Center is not for me. The latest product from Contrast, Contact Center is a simplified version of Launch Center Pro that brings a subset of its features to a free iPhone app supported by ads and aimed at a less geeky and power-user audience. I don't need Contact Center. But, at the same time, I recognize that it's a great idea from the Contrast team, cleverly executed in this 1.0 release. Note: The following is a complete update of our original Launch Center Pro guide published in April 2014. It has been rewritten and updated for the latest 2.3 and 2.3.1 versions of Launch Center Pro with new sections, actions, videos, and more. Released in December of 2011, Launch Center (the predecessor to Launch Center Pro) was one of the first apps to put the spotlight on URL schemes and actions. Promising the ability to launch "actions" instead of just apps, Launch Center leveraged URL actions to minimize the number of taps it took to complete common tasks on a variety of iOS apps. In those days, URL schemes were a fairly obscure facet of iOS, and few apps supported them. App Cubby (the developers of Launch Center and Launch Center Pro, now known as Contrast) wanted to change that. With Launch Center 1.2, they introduced the "Supported Apps" list: a list of apps supporting URL schemes with quick links to load actions from those schemes into Launch Center. 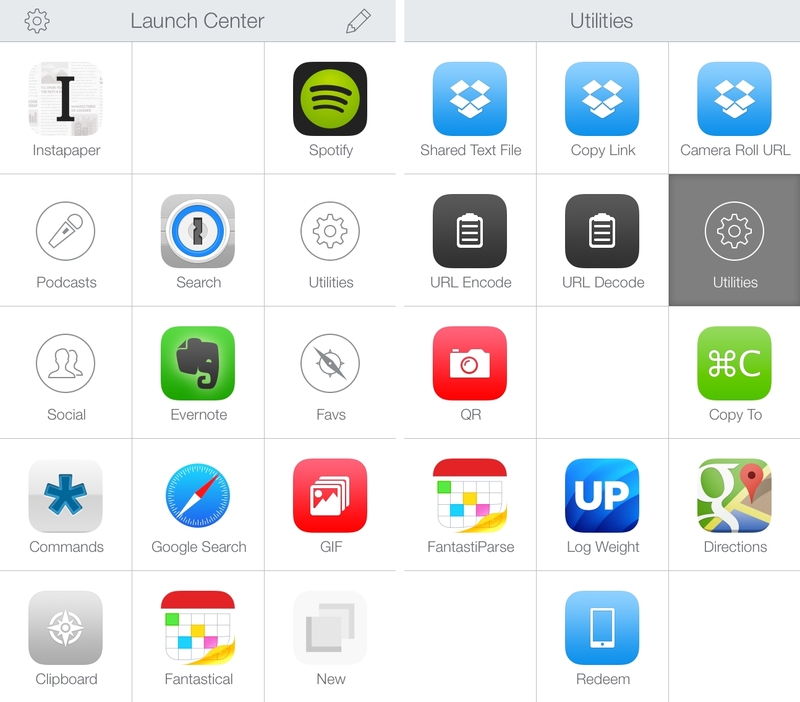 A few months later, in June of 2012, App Cubby released Launch Center Pro. 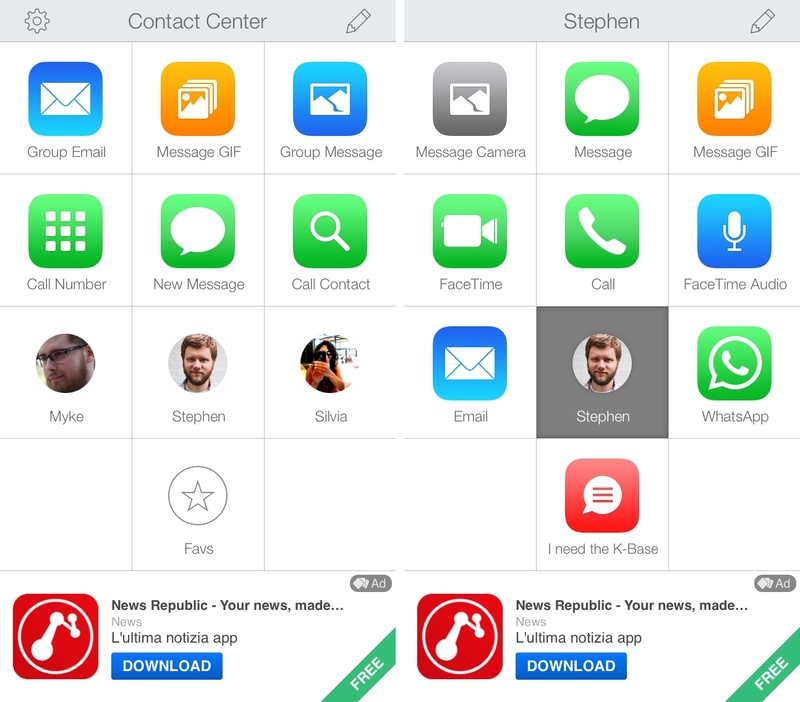 The evolution of Launch Center, Launch Center Pro substituted the old list view for a 3x4 grid of large, easily tappable actions. Where Launch Center had clearly been a utility, Launch Center Pro was a second home screen. Tapping icons in a grid is natural to every iOS user, and LCP took advantage of that to feel instantly familiar. As the slick new app made waves in the tech community, awareness and support of URL schemes began to grow. 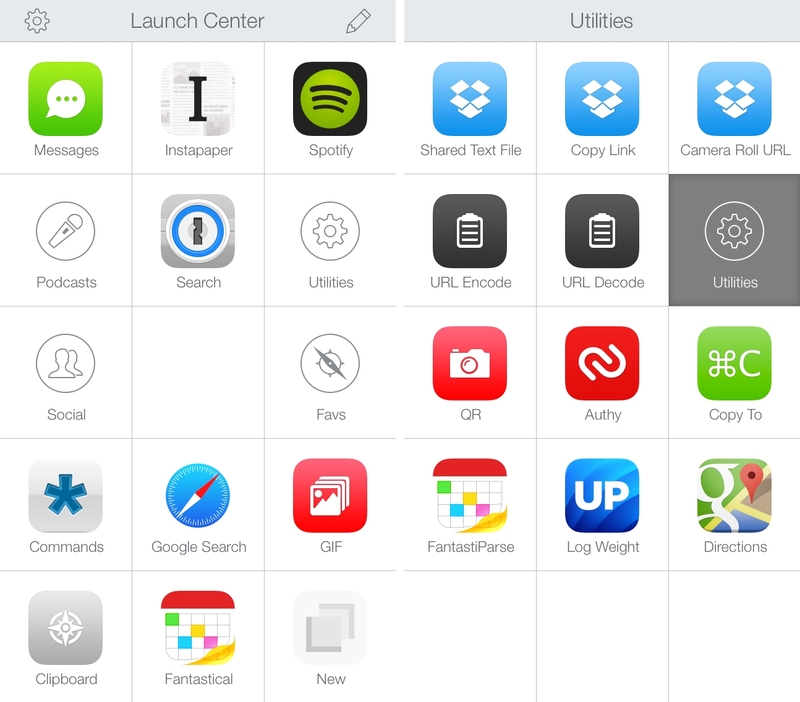 Launch Center Pro was the spark that would ignite the fire for URL schemes and iOS automation. In the following months the iOS automation landscape grew as new players entered. Pythonista brought powerful Python scripting to iOS, and Greg Pierce's x-callback-url specification was gaining steam among third-party apps. 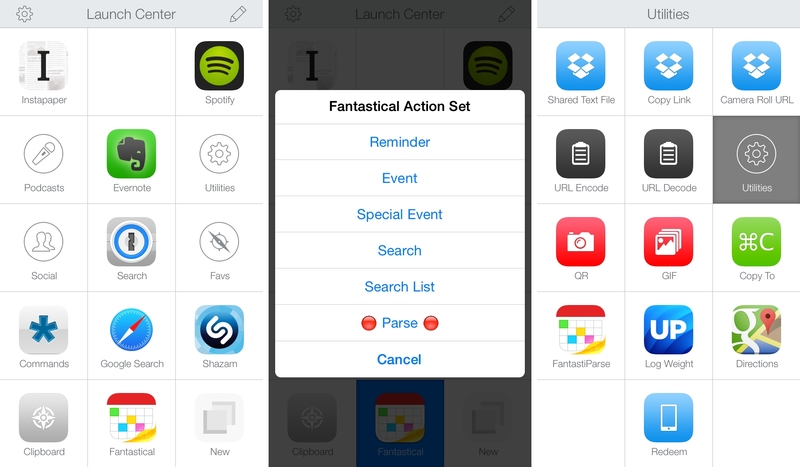 In January, 2013, Pierce released Drafts 2.5 (Drafts for iPad 1.5), adding custom URL actions via an action menu and powerful support for x-callback-url. This placed Drafts among the front runners for the most powerful iOS automation and inter-app communication possible on iOS. The rest of 2013 would not slow down the pace. Drafts, Launch Center Pro, and Pythonista continued to iterate and improve. August 2013 brought Editorial, a new app by the same developer behind Pythonista, which revolutionized the field all over again. Not to be defeated, Agile Tortoise answered with Drafts 3.5, and App Cubby became Contrast as they released Launch Center Pro 2.0 and (soon after) Launch Center Pro for iPad. In May of 2014, Editorial 1.1 made waves once again, and was quickly followed by the huge Launch Center Pro 2.3 update (more on that later). Right now we have the next update to Drafts to look forward to, hopefully including the intriguing new action builder Greg Pierce has teased on Twitter. Watching these developers fight it out has been an awesome experience. The intense, unceasing competition has brought iOS automation incredibly far in a ridiculously short amount of time. The power of these apps, the increasing support of URL schemes from third party developers and the attention from many independent websites such as MacStories, Unapologetic (my personal website), Geeks With Juniors, I Miss My Mac and many others which latched onto the idea and fostered it in the early days, have grown the field from a ridiculed thought (no one can do real work on an iPad!) to a subject often discussed in the tech press. Moreover, after this year's WWDC, the new Extensions coming in iOS 8 could redefine the field once again, and I can't wait to see how these developers will evolve their apps to compete in this impending new era of iOS automation. Today, Launch Center Pro (or "LCP") has come incredibly far from its rudimentary beginnings. Once a simple app launcher held back by the lack of support for more advanced actions from third party developers, the expanding interest in URL schemes have let Contrast focus on beefing up LCP's internal functionalities. While on the surface it looks deceptively simple, and no more than a reskin of its original design from June 2012, 2014’s Launch Center Pro is brimming with hidden power and advanced capabilities. 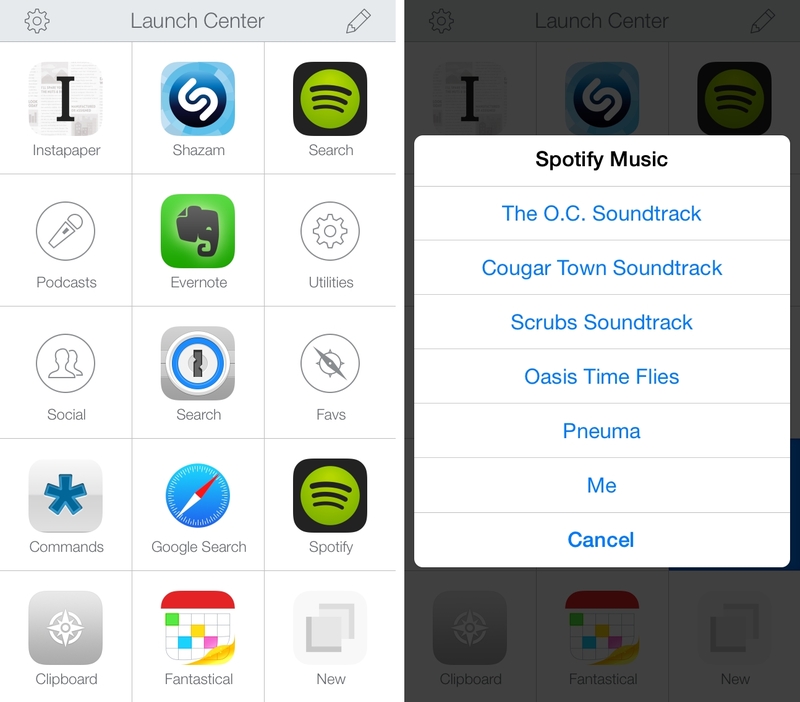 I recently tweeted about a change in the Spotify app for iOS – which I've been using to listen to music every day1 – that broke my shortcut to search for songs and artists from my Launch Center Pro action grid. I've been trying to identify the culprit and I've read documentation about Spotify's URL scheme and integration with the web app, but I haven't been able to figure out how to make searches typed in Launch Center Pro work with Spotify again. Therefore, I've tweaked my Spotify action setup and settled on a compromise that's (kind of) working for now. My Launch Center Pro Home screen and Utilities group. Over the past two years, we’ve covered Launch Center Pro, one of my favorite apps for iPhone and iPad, several times here at MacStories. We’ve detailed major updates that were released by Contrast and published a complete guide to go from novice to advanced user; we’ve also focused on the hidden features for power users that the developers recently snuck into a seemingly minor update. And yet, in spite of the coverage, I’ve never really addressed the question that I often receive from MacStories readers – How do you use Launch Center Pro? In this post, I’m going to detail the actions and groups that I use with Launch Center Pro every day. I keep Launch Center Pro in my dock, and I use it for actions that are both work-related or simple shortcuts to my favorite music streaming app or animated GIFs. I’ve realized that quickly mentioning an action or including examples in a review isn’t the best way to explain how I’m using the app, and hopefully this post will provide a good overview of my practical use for a fantastic utility that I rely on. Below, you’ll find a breakdown of my Launch Center Pro setup with sections for the app’s Home screen and groups. The screenshots will show my iPhone setup, but I keep the same actions on my iPad. Whenever possible, each action will have a download link to install it on your device. Yes, that promo code has been used. 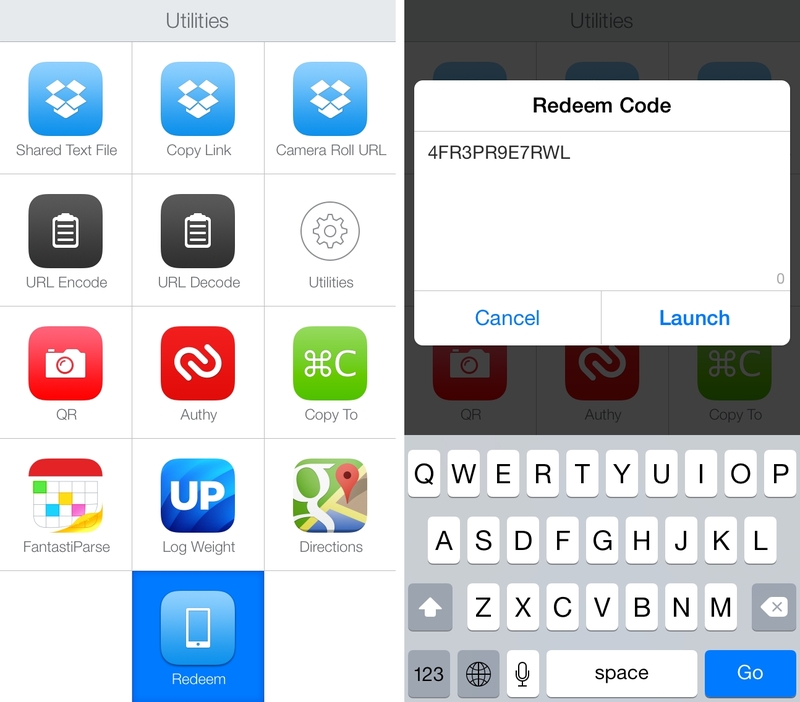 I was taking a look at my Launch Center Pro action library over the weekend, and I realized that I didn't have a shortcut to quickly redeem App Store promo codes. Whether it's a promo code for an app pitch or a gift card I need to redeem on my iTunes account, I constantly find myself opening the App Store app, scrolling to the bottom, tapping Redeem, pasting the code, and confirming everything with my password. But we're not prehistoric iPhone users, and this can be automated. And even better, the tweaks introduced in Launch Center Pro 2.3.1 make the process seamless yet flexible. My Launch Center Pro home screen and Utilities folder. 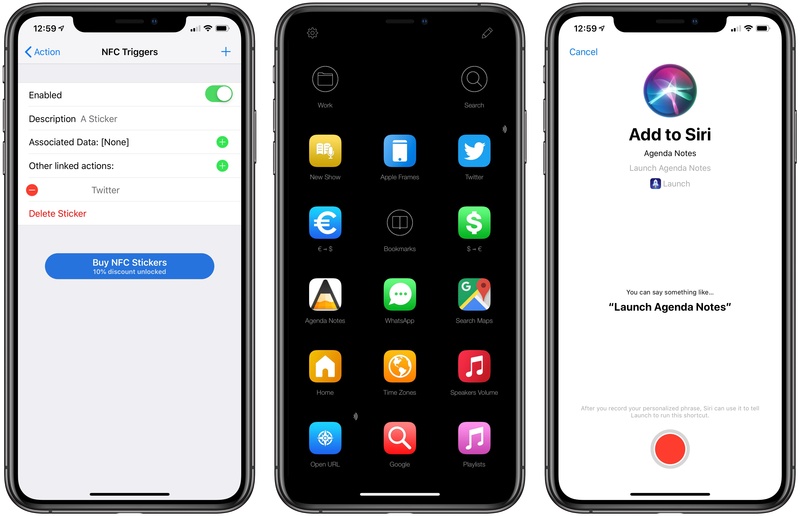 Earlier this month, I wrote that Launch Center Pro 2.3 extended iOS automation by integrating with IFTTT and bridging the gap between iOS apps and web services. Launch Center Pro 2.3.1, released today and seemingly a minor update, is packed with major changes for advanced users who want to build complex URL actions in the app. If you’ve struggled to build actions that connect multiple apps in Launch Center Pro before, you’ll want to check out the new version and read through the full documentation on Contrast’s website. We’re still working on a big update to our Launch Center Pro guide, but, in the meantime, I’m going to give you an overview of what’s possible to achieve with Launch Center Pro 2.3.1. Released today on the App Store, Launch Center Pro 2.3 is a major update to Contrast's app launcher and automation tool for iOS that further enhances integration with online services, improves how actions are built and triggered, and that refines several aspects of an app that's become a key piece of my workflow. Launch Center Pro 2.3 brings important improvements that make the app an even better companion for common tasks and advanced workflows. The update is packed with features -- David Barnard wasn't joking when he said that it feels like a 3.0 release -- and I believe that Contrast did a great job in integrating them with the rest of the app.